Disclaimer: I neither consider myself a scholar nor do I fully understand the beliefs of Pelagianism. When I called myself Pelagian one day, Ryan asked me if I’d like to write an essay on what that means for me. I accepted, and this is what came of that. This is what being Pelagian is to me, and I don’t expect that it will be the same for others. But I hope this helps others to better understand why some do not believe he was a heretic — and why some, like me, still believe in his basic ideas, and have let them influence how we’ve grown in our theology and understanding of God and man. I came across the name of Pelagius as a child. Of course the only thing I knew about him was that he was considered a heretic, denied original sin, and taught that we don’t need God’s grace and can save ourselves. Which was pretty much wrong. The Catholic site New Advent still lists him as a heretic, and still says that he denied God’s grace. But what Pelagius really believed was something more akin to the Wesleyan tradition of prevenient grace. Pelagius was condemned for this. 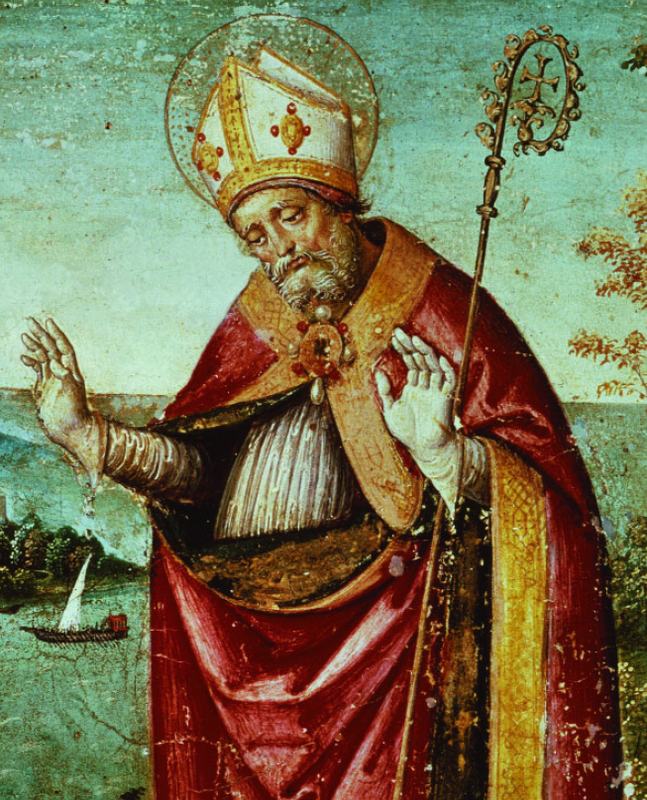 Augustine and others named him a heretic for believing that God did not predestine men’s choices, but enabled them to choose good or evil based on their own free will. All during his trials, he spoke eloquently of why he believed what he did, citing the Ante-Nicene teachings of Iraneaus and Justin Martyr and others as teaching that man had a will to choose between good and evil of their own volition. Pelagius’ denial of original sin — for which he was mainly called a heretic — was to him not a denial of a biblical belief, but of the gnostic concepts which had been influenced by Augustine’s former Manichaeism. Augustine’s gnostic tendencies were the motivating factors behind Pelagius’ denial of original sin. Manichaeism even had its own doctrine of original sin, called original evil, which is that matter itself is composed of evil and that good is an eventual extracting of the light in spirit, so that it can leave the evil behind. Much of Christianity teaches something similar to this in calling carnality/flesh a sign of the evil sin in our nature. But as posited by many, carnality was not what was sinful about us, but what we chose. Pelagius believed that Augustine was unduly influenced by these former beliefs in his own formation of doctrine which led to the beliefs of original sin, total depravity, etc. Original Sin is still a pretty much fully accepted orthodox belief that sin passes down in man’s nature, and is unavoidable. This is believed even by those who believe in prevenient grace, which would say that man’s nature needs to have enabling grace change it so they can be able to live in free choices that then give them the ability to say “yes,” or “no,” to God’s will and thus be fully condemned for their choice, and fully deserve their punishment in Hell. And since it is enabling they can hold no merit for choosing to say “yes”. This is pretty much what the denial of original sin does in Pelagianism, only it posits that this was always the way of humans. Thus Adam’s sin did not change the nature of men that came after him, but brought about a separation from God in relationship. Sin consequently happens from bad choices, environment, upbringing, and insecurity, but are not themselves what is keeping us from God. A Pelagian reading of Genesis 3 shows Eve not reacting out of rebellion, but fear. Eve chose to disobey God because she did not believe He had her best in mind. This was brought about from the lies of the serpent, which is of course if you take the story literally. But even if you don’t, the fact remains that men almost inevitably make bad choices. Because we are born separated from our relationship with God, fear and insecurity and the bad choices of those around us tend to lead us to sin as well. Sin being merely doing wrong in how we hurt others, or ourselves, and in our actions of obedience or disobedience to God. Not in our nature, but our choices and our actions. The question arises then if there is a possibility that man could fully stop sinning. Honestly I don’t believe so, and I’m not sure Pelagius did either. He seemed to believe that man could “not sin” in specific choices throughout life, and chose to teach virtue and even an ascetic lifestyle in light of this. But it doesn’t seem as if he fully believed one could ever stop completely sinning. As to how this “saves” people, even if one could not sin in every way, but still didn’t have a relationship with God, they would still need that relationship for the kingdom of Heaven/New Earth, which is itself an eternal communion between God and man in full physical form. So the question of whether doing good or evil acts is what really condemns us is itself a good one worth asking. If we are to be true to our basic beliefs then we would have to say that evil actions are not what condemn us to hell, but the state of our heart towards God. Whereas good actions don’t save us, but the state of our heart before God, and that is made in how we interact with God. I tend to believe that Adam and Eve were flawed from the start, that this was God’s choice for us all, capable of sin or good in their nature, and that nothing Adam did changed that in us either. But what did change was our relationship to God. Thus what needs to be reconciled is not us, or our actions, but our relationship to God, which Jesus died on the cross to give us that chance again. Grace is not about making us good, or less evil, but about giving us a chance to walk with God again in the cool of the day. There does seem to be a strong sense of right and wrong in actions in the Bible, though. I believe this is not just for Christians, but for anyone. Since anyone can live moral lives, they should know what is moral and what is not. These rules were laid down to help us love each other better, and taken in cultural context (meaning some rules were historically or anthropologically key for an ancient Jewish culture growing up in pre-Roman, and then post-Roman society but not for us now), and leaving room for human evolution of ideas and morals, can help us to be a better society in community with one another. The basic rules — Love the Lord your God and love your neighbor — are ones that transcend time. As a Pelagian, I believe that man is not born sinful, but becomes sinful based on his own choices. A Pelagian reading of Genesis 3 shows Eve not reacting out of rebellion, but fear. I do think that the separation from God in our whole being is something that we need to reconcile, and that it does effect our choices and actions, and even our nature. But I also believe that being born in the image of God counteracts this, and creates in us the ability to choose against evil and sin. Eventually the hopeful result of this choice being in us is that we will face the choice of following God or not, or seeking after him in whatever context we can, and that we will choose to do so. We will fail, as we are flawed beings. But this flaw is not condemnable. It is rather a sign of our need for God, something that is good — as long as God is actually in relationship with us. In fact, there are some people that seem to celebrate this flaw — some that even believe God Himself celebrates this flaw. They celebrate it because it means we are not automatons, but free humans. We are neither chained to sin nor chained to good. We always can choose to do the opposite of what we have been doing. John Ruskin, a leading Victorian era art critic, wrote about Gothic architecture as the sign of free men, creatively using their own imagination and making art out of their own soul, rather than following a preconceived formula by taskmasters. This was a very humanistic thought. It also fully describes my own belief in how Pelagianism effects my own life. In other words, by giving us these tools God has shown himself to be a humanist. He believes in us, and in the beauty of His creative imagination in how he’s formed us. Nothing could change this, not even the walking away from relationship with Him in the Garden, not even Adam and Eve disobeying. When they leave the Garden, God continues to be there for them, guiding them, and showing them the right choices to make. And they continue to sometimes make them, and sometimes not. To be Pelagian is to have hope for all men, to have the hope that — as they make choices, both good and evil — they will eventually choose God, and even make the good choice of surrendering their own will for His. It is to believe in ourselves, as better than the choices we sometimes make for evil. Most of all it is to say that we are not broken in our nature, or sinful, but exactly as God wants us to be, exactly as God created us. We don’t need grace to change our nature now. It already has if there was any changing to be made. All that lies between us and God now is a reconciled relationship, which we all face the choice of in our lives in one way or another. 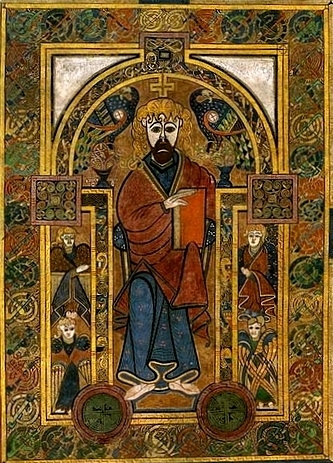 Celtic Christianity sees Pelagius as one of their original saints. There are still sects of Christianity that teach Pelagianism as well as other stuff these days, sects like Celtic Spirituality (a chief proponent being J Phillip Newell), and Celtic Christianity, which also espouses universal reconciliation, etc. They see Pelagius as one of their original saints, because he was himself a Briton. He returned to teach there long after he was excommunicated from the Catholic Church. He was also influential on the Quakers, who believe that men are born with a light in them, God’s image, and that nature and man are basically good. They believe, and Pelagius too, that God has seemed to write His truth for us in our very nature, and in our hearts. If we are to know it, we must search ourselves and find God. 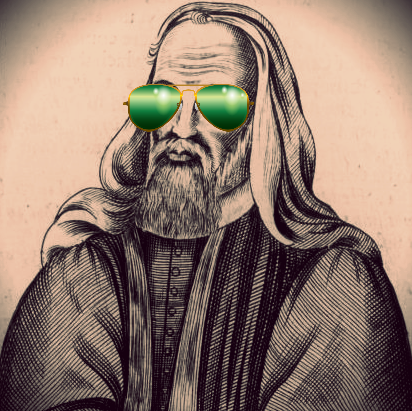 I wonder what Christianity would be like if it had been more influenced by Pelagius, a man who believed in the basic goodness of all, and had hope that all could live a moral life and reconcile that relationship with God which Jesus had died to make possible. I tend to think we’d be far less dogmatic, and far less bigoted in how we approach evangelism. We would probably seek to enrich the inner self, and ignite its wonder in God’s story, and in His Creation, as a means of showing it the truth of itself, and the truth of God’s desire for it. We would be less prone to teach our children that they can do no good in and of themselves, and we would have a better relationship with nature, and carnal flesh, seeing it not as sinful in itself, but as making sin possible in the wrong kind of environment. We would have more hope for each other, and the ultimate outcome of humanity. We might even be more open to revisit our ideas of how we interpret scripture, and understand Hell, etc. In short I think we could all be a little more Pelagian. And I’ll continue to work towards that in how I treat others, and what I talk about in regards to theology. I have hope for us all, just as much as God does. And because of my Pelagian leanings, that hope is pretty vast. I think that one problem with fundamentalism is conflation of the concept of Original Sin and Total Depravity. Although those concepts are to a degree fungible, I think that Total Depravity means that people are incapable of choosing God, unless God chooses them first. I find that view profoundly wrong. On the other hand, Original Sin simply means that humans are inherently susceptible to corruption. If you don’t fight it, it will eventually overcome you, like a wooden fence will eventually crumble if not maintained. That doesn’t make humans incapable of choosing good or ‘chained’ to sin. It merely means that evil is a ‘default’ option for human beings and that one must actively choose more difficult options instead of following the path of least resistance. It is comfortable to just eat junk food and sit on a couch all day but this will eventually make you overweight and unhealthy. It takes active effort to exercise and eat healthy food. You need to actively work on being just, selfless or hardworking, it won’t come by itself. I think that the quote by John Ruskin about people trying to discover new types of lines is dead right. Another thing I hate about traditional Christianity is that it ultimately casts the idea of free will in completely negative light – it is only here to provide an excuse to God to send us to hell if we chose to not believe in Him/Her. The idea that free will may also be a positive force, allowing one to become an unique person is foreign to many versions of Christianity, but I think that it makes a lot of sense. Why would God invent something that can only make things worse? 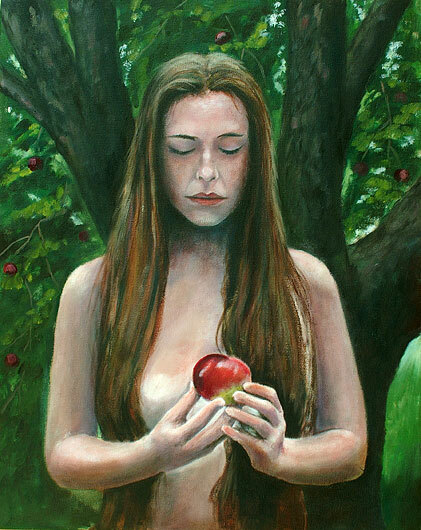 Although I don’t believe Adam and Eve was a literal story (in fact it is quite OBVIOUS that it isn’t) I think the reason for Eve’s disobedience was at least partially due to mistrust. She simply didn’t believe that God had her best interest at hand. She had to check if Snake’s story was credible. Maybe God banished Adam and Eve in part to show them that there really isn’t any other reality better than Heaven. (You may also want to google Network of Eden by Steve Dutch for yet another interpretation). So basically I find Pelegian view very tenable with the slight modification: original sin is still in play but it doesn’t mean you can’t choose good on your own. In fact choosing good over evil as much as possible is the WHOLE POINT. This kinda goes against substitutionary theory of atonement, but there are other theories of atonement like, moral influence. I would agree with you that the idea of original sin is still sort of in play. Because we are born ignorant of the relationship God is having with us (i.e. relationships are two way streets, and we are born ignorant of it) we will sin, especially since the world around us is full of people sinning. It’s basically inevitable. But I don’t think that something has to be wrong with our nature for that to be true. An interesting post. I do not think that breathing new life into old heresies is the appropriate response for seeking more hope. In this context Pelagius was deemed a heretic because what he was teaching was not based in the Bible, no matter how well intentioned. There is quite a lot in the Bible that discounts Pelagian leanings. Orthodoxy is important and that is probably a different topic entirely. I find it odd that Jesus is mentioned only once and in passing. The role of Jesus is a big piece of the puzzle in searching for hope. His place in the story is crucial. While Justin seems to sincerely believe this, he is also sincerely wrong. That said I found this incredibly interesting. First off I’d like to say calling something a heresy does not necessarily make it a heresy. That tends to be sort of a buzzword these days to write something off as dangerous or theologically wrong. Now I do understand that that can also just mean something that is not orthodox, and I’d be okay with being called unorthodox. I certainly am (I’m also a universal reconciliationist). Would you mind pointing out some verses that are blatantly anti-Pelagian? I mention Jesus as the crux of the whole story, the very mechanism by which we are brought back into relationship with God, that if whatever was wrong with our natures, before/after Christ, that is changed now because of what He did on the cross. I find that crucial indeed. Let me start by saying it is true that not everything that is called a heresy is a heresy. In this case it is. I assure I am not cavalier in my use of this word. I would likewise say that not everything that proclaims to be Christianity is. In saying that am I implying that my interpretation and understanding of Christianity is right? Yes and no. Yes because I think in this instance the Bible is clear on this issue. No because life and faith are not static. Life is undeniably a process of learning. Faith on the other hand, I do not build myself. That is because there is a difference between philosophy and theology. Philosophy looks at the world and asks: why? So in seeking to answer that question we look to experience and logic to start to build something resembling a satisfactory view of the world. We cast it aside and when it does not line up with reality(hopefully). Theology on the other hand is a response an answer. In a word revelation. Put another way a response to a “because” statement. Though subtle I believe this is an important distinction to make. I think that what I believe to be a true Christianity is best summed up by a guy named Etienne Gilson: “…for men are most anxious to find truth but ,very reluctant to accept it. We do not like to be cornered by rational evidence, and even when truth is there, in its impersonal and commanding objectivity, our greatest difficulty still remains: it is for me to bow to it in spite of the fact that it is not exclusively mine, for you to accept it though it cannot be exclusively yours. In short, finding out truth is not hard; what is hard is not to run away from truth once you have found it.” I have experienced this in my life when struggling with Christianity. I have been sought and pursued by God in both overt and covert ways. So I believe that God has revealed Himself in the Bible and that reading it well I can come to knowledge about Him and know true things about the world. That said onto the scripture verses you asked for. So how depraved are we? First off this verse in Genesis right before the flood account. The importance of this being that there is something present (sin) in man that corrupts completely. To say that this only was a specific reaction to the actions of men in that context is missing the end of the story where God makes a decision in 8:21 “…the Lord said in his heart, “I will never again curse the ground because of man, for the intention of man’s heart is evil from his youth. Neither will I ever again strike down every living creature as I have done.” Those are value judgements made by God on the nature of man. Are there actions that we can do or choose that in and of themselves are pleasing to God? Acts are of very little importance in trying to trying to relate to God. If Pelagius was right about the nature of man and reconciliation with God then the Jews had the best system to evaluate what is a right way to live and what is not. Put another way there was not better opportunity for them to choose God. The priest in the story is important because he was truly concerned with being right before God. Jesus rebukes him for the haughtiness of spirit that comes with viewing works as a way towards mending the relationship between God and man. Isaiah says that we do not seek God. He was speaking against the very idea that if given the choice we would or could choose God. Humility in acknowledging our sinful place before God is what is required not want to do good. Psalm 51:17, “The sacrifices of God are a broken spirit;a broken and contrite heart, O God, you will not despise.” That is quite a contrast to Isaiah’s good deeds. Finally one must contend and dismiss Paul completely to view Pelagius’ answer as legitimate. Paul seems to see the reality of original sin as not only real but an important piece to the puzzle of understanding our relationship to God and the importance of who Jesus is and why he came. It seems to be a bigger deal than merely mending fences. I agree that Pelagianism provides hope. I think it is an ill-founded hope. It would be nice to shrug off the weight of sin. To shrug it off it would deny the very essence of the Gospel. That God sought and saved us through the finished work of Christ dying on the cross while we remain in open rebellion towards God. It is accepting that grace and that alone which will mend the relationship so that we might enjoy that stroll in the garden with God once again. I fear this is a little long but I look forward to hearing your response. First of all, I don’t know whether you’re aware of Pelagius’ influence in Christianity today, but let me assure you that Justin is not the one breathing new life into his teachings; they in fact never died out. After he was finally excommunicated (for many years the Church upheld Pelagius’ teachings as perfectly orthodox), Pelagius, aka Morien, returned to Briton where he continued to teach. The branch of Christendom known as Celtic Christianity has always leaned more toward his theology than Augustine’s. John Wesley probably didn’t read many (if any) of Morien’s writings – they’ve been largely unavailable until the last century – but in his study of Scripture resulting from his difficulties with Calvinism, his conclusions were in many ways similar to Morien’s. Augustine’s theology is pervasive within Christianity – moreso within the last twenty years than it has been for some time up to that point – but it is by no means universal. I would like to respond to the Bible passages you brought up as confirming original sin, but first, I would like to define what “original sin” is, because it means different things to different denominations. Augustine/the Roman Catholic Church/John Calvin and his followers teach that original sin means every human being is born guilty of Adam’s sin – that is, every human being personally and individually committed sin when Adam sinned in Eden, because every human being was literally present inside Adam’s body (this corresponds to a pre-modern understanding of reproduction). Therefore, every human being is born guilty. This form of the doctrine also teaches that human nature was irrevocably corrupted by the Fall, and that the sin nature is passed on genetically, so every human being is also born with a nature that inclines to do evil more than good. Even here, the doctrine varies from an inclination toward evil, to a true inability to do anything that pleases God before regeneration. Most Protestant churches (except those that adhere to Calvin’s teachings) reject the full doctrine of original sin, but maintain that humans inherit a sin nature from their parents – just not the guilt of Adam’s sin. This is why most Protestants believe that babies and young children who die will go to heaven, because they don’t yet possess the knowledge of good and evil which condemns them. The Catholic Church, because of original sin, teaches that babies or young children who die will go to hell unless they have been baptized. Christians who deny original sin still believe that everybody sins, just that they are not born guilty of Adam’s sin (or any sin), and that human nature has remained fundamentally the same since creation. The difference between us and Adam, as Justin said, is that we are born without the relationship with God that Adam and Eve had. Don’t forget, Adam and Eve didn’t have a sin nature – I’m pretty sure even Augustine would say that – and they had no trouble sinning. A sin nature/original sin is not necessary to explain where sin comes from. Now to the Bible passages. I find it interesting that you mentioned Genesis 6:5-6, because you stopped just two verses shy of the following statement: But Noah found favor in the eyes of the LORD. This is the account of Noah. Noah was a righteous man, blameless among the people of his time, and he walked with God” (6:9-8). Contrasted against a world filled with wickedness, we see that the wickedness of man was not, in fact, universal. Also, as Justin mentioned, I believe the Jewish understanding of this passage was that human beings had been corrupted by demons in some way, and God’s response in wiping out those people was to eliminate that mutated DNA. I’m not sure whether that’s true or not, but that may be what the first readers of Genesis believed. Finally, ignoring the Nephilim/demon hypothesis, this passage says nothing about humans being born evil or born sinful. You don’t have to believe in original sin to believe man can be or do evil (again, look at Adam and Eve – or Satan). Plus then there’s Noah, who apparently missed out on his allotment of sinfulness. You could say the Bible is using hyperbole to talk about Noah, but then you have to allow that it is also using hyperbole to talk about the rest of mankind. You pretty much can’t have one without the other, not if you want to be fair to the text. Isaiah 64 is a lament of the state of Judah around the time of the Babylonian exile. Every time the Israelites faced exile, occupation, or crushing military defeat, it was tied to their sin as a nation or the sin of their king. So on the one hand, we have Isaiah speaking not of humanity in general, but of his own people – God’s chosen people – and the consequences of their rebellion. On the other hand, as we know from the New Testament, we are to consider the events of the Old Testament as examples for ourselves, so we can certainly apply Isaiah’s statement of our sinfulness to our own selves. Yet again, we don’t see anything about being born sinful or guilty of sin. Justin noted the importance of the word “become.” Note that Isaiah points to Judah’s sins (their own actions) as the reason God hid his face from them – not their sinful nature or the sin of Adam. Luke 18:9-14 I don’t see how this relates to an argument about original sin, but I see that’s not what you were going for. It’s true, our specific actions are not as important to God as our hearts are (not that actions are meaningless, but good actions can be done from a heart that is bad). I don’t think anybody would disagree with you on this, including Pelagius. Pelagius merely argued that human beings are not born sinful and that we have the ability to choose good or evil, rather than being made to do it. Romans 7:13-25 I also find interesting, because again, your selection is right next to statements that seem to refute an argument for original sin. In verse 9, Paul writes, “Once I was alive apart from law; but when the commandment came, sin sprang to live and I died.” This implies that sin or sinfulness is the result of knowledge; it is not something we are born with or born guilty of. You could argue that Paul means “Adam” when he says “I,” but then you would have to abandon the case for original sin in this passage because Adam predates original sin. It would take a lot of mental gymnastics to make that work. In relation to the part you quoted, my perspective is that sin is like alcohol. You’re not born addicted to it; you become addicted over time through repeated abuse that leads to dependence. A person who becomes sober is still, technically, an alcoholic – they know that just one drink can send them right back to the addiction, no matter how long it’s been since they’ve stopped. Romans 5 actually contains a strong statement against original sin, but a lot of people miss it. It’s in the three little words in verse 12: “because all sinned.” If original sin were true, it would say “in this way death came to all men, because Adam sinned.” But it says “because all sinned.” Just as death came to Adam as the result of his sin, so death comes to each of us as the result of our sin – not his. Oops, I just realized I posted without finishing my last thought. Anyway, a theology like Morien’s gives hope in the sense that it allows believers to maintain their faith in the goodness of God, the justness of God. At the same time, it allows us to hold to a high view of both Scripture and church tradition, as it presents a clear interpretation of texts that I believe have been misunderstood or misrepresented by other readings, and takes us back to the traditions of the earliest church fathers, back before original sin was even a topic of discussion. Do you think the doctrine of original sin is itself a gnostic concept? Pretty much yeah, as it basically says sin passes down in our genes, in a way. Thus matter is sinful. Which is pretty much gnostic. That puts so clearly and succinctly what I’ve thought before regarding Gnosticism in evangelical Christianity. There really is a lot of thinking in both evangelical Christianity as well as evangelical homeschooling that is gnostic and/or Platonic. Hey Adam, a lot to reply to here. Thanks for the good discussion. This is helping me cement my thoughts better. I am gonna use an old Message Board trick I learned where I put your name with your thoughts, and then respond with my thoughts and my name in front of them. Adam: Let me start by saying it is true that not everything that is called a heresy is a heresy. In this case it is. I assure I am not cavalier in my use of this word. I would likewise say that not everything that proclaims to be Christianity is. In saying that am I implying that my interpretation and understanding of Christianity is right? Yes and no. Yes because I think in this instance the Bible is clear on this issue. No because life and faith are not static. Life is undeniably a process of learning. Justin: I appreciate the humility here. So key in conversing as equals. Also appreciate the confidence in your beliefs. Adam: Faith on the other hand, I do not build myself. That is because there is a difference between philosophy and theology. Philosophy looks at the world and asks: why? So in seeking to answer that question we look to experience and logic to start to build something resembling a satisfactory view of the world. We cast it aside and when it does not line up with reality(hopefully). Theology on the other hand is a response an answer. In a word revelation. Put another way a response to a “because” statement. Though subtle I believe this is an important distinction to make. Justin: See and I would say faith asks the questions. You could say philosophy is not asking theological questions, or asking why about things like God, or spirit, etc. or perhaps more accurately faith and philosophy are two sides of the same coin, one asks why and the other seeks the answer. Faith is as much the seeking as the finding. Truth is not something we know beforehand, but something we in our relative knowledge explore, and in community, and in leaps of faith, ground ourselves in, but always leaving room for being wrong. So in a sense as a Pelagian I see all men capable of asking the right questions, and finding the right answers, as well as capable of acting on those answers correctly. Because there is nothing in their nature keeping them from doing so. Adam: I think that what I believe to be a true Christianity is best summed up by a guy named Etienne Gilson: “…for men are most anxious to find truth but ,very reluctant to accept it. We do not like to be cornered by rational evidence, and even when truth is there, in its impersonal and commanding objectivity, our greatest difficulty still remains: it is for me to bow to it in spite of the fact that it is not exclusively mine, for you to accept it though it cannot be exclusively yours. In short, finding out truth is not hard; what is hard is not to run away from truth once you have found it.” I have experienced this in my life when struggling with Christianity. I have been sought and pursued by God in both overt and covert ways. So I believe that God has revealed Himself in the Bible and that reading it well I can come to knowledge about Him and know true things about the world. That said onto the scripture verses you asked for. Justin: This is not a bad quote and there’s a lot of truth there. I would only say that since knowledge is relative, truth might be harder than you think, and that sometimes we might know a truth but not be able to live it yet (as Rainer Maria Rilke would say), we must learn to love our questions, and be able to live the questions, to know it’s okay to be in tension, and uncertainty. Especially in relation to others, so much dogmatism and hatred comes out of certainty. Such as parents being so sure of the brokenness of their children and their depravity, that they tell them they are broken deeply broken and nothing they do comes from love, and they must learn (if God so chooses to reveal) just how depraved they are, repent, and then God will save them, then and only then can they act in love, but only because it comes from God, not them, nothing in them is really good. I’m praying no parent ever becomes that certain of such a horrible thing, but many are because of the very doctrines Pelagius fought against. Adam: So how depraved are we? Justin: Interesting that we start out right away in Genesis. Interesting also that we start out with what is likely a bronze age myth. But let’s pretend it’s true. Let’s pretend that this all really happened. 1. It was posited by some Jewish scholars that what corrupted men was not their own natures, but demon possession by the Nephilim. Thus, what we have here is not men being evil in and of themselves, but by corruption from their environment. Sort of like Invasion of the Body Snatchers: Satanic Edition. 2. It is interesting to not three words God says in that value judgement. “From his youth.” So what it seems God is saying here is man becomes evil, not man is born evil. He becomes so by his own choices. 3. What about Enoch? He was a man just like the rest, exactly the same in every way. Adam: Are there actions that we can do or choose that in and of themselves are pleasing to God? Justin: First off Isaiah is speaking to a specific time, not a static reality. We can see this by his usage of the words “we have become”, connoting that there was a time before this when things were not like this, and what he is speaking of is the corruption of Israel by the sinful world around them, and their own sinful actions. Adam: Acts are of very little importance in trying to trying to relate to God. If Pelagius was right about the nature of man and reconciliation with God then the Jews had the best system to evaluate what is a right way to live and what is not. Put another way there was not better opportunity for them to choose God. The priest in the story is important because he was truly concerned with being right before God. Jesus rebukes him for the haughtiness of spirit that comes with viewing works as a way towards mending the relationship between God and man. Isaiah says that we do not seek God. He was speaking against the very idea that if given the choice we would or could choose God. Humility in acknowledging our sinful place before God is what is required not want to do good. Psalm 51:17, “The sacrifices of God are a broken spirit;a broken and contrite heart, O God, you will not despise.” That is quite a contrast to Isaiah’s good deeds. Justin: And here’s where we’d interpret differently. God hated the sacrifices of the Israelites in Isaiah because they were not coming for good reasons. It was not the acts themselves that kept God from rewarding Israel. You say that the priest was truly concerned, but I would deeply disagree with that. The priest was only concerned with going through the motions. He was not concerned with changing his heart. A heart that had become corrupt over time, by actions, by choices, not by nature. Conversely you are right that works do not mend the relationship. I never said they do. I said that man can be good. That is all. The only thing that mends the relationship is choosing to have a relationship, and actually having a relationship and that comes out of the heart, out of love. God wants our hearts, our love, our relationship, not doing good works just to get out hell of free. Thus, while man can be good, and moral, if he does not reconcile that relationship he is still not doing what God desires most. The only thing I’d say to that though is that God sees our hearts and he knows why we do things, and sometimes I think even if we’re not doing them for God, we are doing them for the right reasons, and he rewards that. It is our heart that matters, and our heart is up to us to change one way or the other, not God. If there was any part up to God, He’s already taken care of it on the Cross. I think most people even if they don’t reconcile the relationship in this life will get to the Judgement Seat and stand before God and will say, because of their good heart, “oh hey you really do exist! awesome” and go on into the New Heaven/New Earth. Hell is really just for the ones who want to continue to abuse, or continue to hate God (and as a universal reconciliationist I continue to have hope for them as well). The heart is within our grasp to corrupt or redeem, I think that is perhaps Pelagius’ deepest truth he was trying to relate. But it is the relationship that Heaven is about, not just a good heart. Adam: Finally one must contend and dismiss Paul completely to view Pelagius’ answer as legitimate. Justin: I think Paul dealt with some incredible guilt and insecurity in his relationship and belovedness by God because of his past actions. I think that effects a lot of what he writes about himself. I think that context is important in reading what Paul says about sin. But then I’m not a believer in inerrant scripture. I like to let reality determine how I interpret scripture, and if I was to walk outside today and talk to atheists, I’d find deeply corrupted ones chained to their own sinful choices, and ones who did great things and had amazing good hearts alike. And both could become the other, based on their choices, and not any nature inside them. Adam: I agree that Pelagianism provides hope. I think it is an ill-founded hope. It would be nice to shrug off the weight of sin. To shrug it off it would deny the very essence of the Gospel. That God sought and saved us through the finished work of Christ dying on the cross while we remain in open rebellion towards God. It is accepting that grace and that alone which will mend the relationship so that we might enjoy that stroll in the garden with God once again. Justin: I think one can be very weighty about sin without weighing down simply humanity as well. There is such a thing as going too far. Sin is bad. It’s bad because we choose to do it. To hurt others, and in non-ignorant cases, hurt God. It is bad because we know it’s bad. This is no way has to include an idea of sinfulness being in our very nature to keep that weight intact. thanks for your response again. Long though it was, I found it fun to reply to.